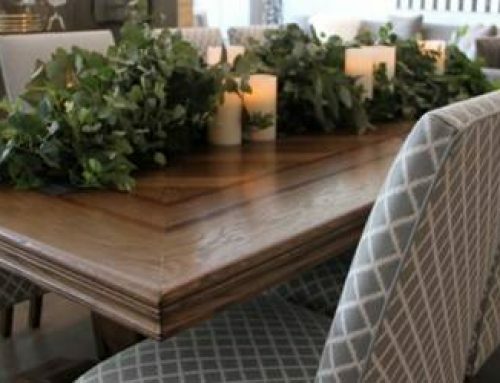 Coming together for a gorgeous collaboration is one of Australia’s most loved furniture manufacturers, Molmic, and host of Selling Houses Australia and judge on The Block, Shaynna Blaze. With a love of the classic designs and a desire to provide quality-made furniture, the two experts of Australian furniture and design have come together to create the exclusive range, Elegant Muse. From the conception of the idea, Shaynna endeavoured to create a timeless range of quality-made furniture with the class and grace of old Hollywood serving as its inspiration. Shaynna explains that the names given to each model were inspired from “film stars who have been admired for their longevity as well as their beauty that is so copied and admired but most of all they have a name that gives them a familiarity of a friend you can spend your time with”. The Elegant Muse collection showcases the perfect marriage of sophisticated design and comfort and support. The details of the stitching on the Audrey chair for example demonstrates the care and attention put into creating furniture that ensures to capture one’s attention from every angle. Dressed in our showroom in the Mokum Nature fabric, the Audrey chair emits a softness and elegance much like that of the iconic Hollywood actress for which it was named after. The Grace sofa also in the Mokum Nature fabric perfectly encapsulates the name it was bestowed. Despite its compact size, the trademark stitching of the Elegant Muse collection allows the Grace sofa to be centerpiece of the room. It enraptures one’s attention with its gentle yet sophisticated look. Moreover, with the option of having a firmer seat, the Grace sofa can also work as a dining seating. The Cary chair coupled with the Ferrante ottoman in the Langham Saddle leather radiates with a warmth that beckons you to come and make yourself comfortable with a good book. The oversized look of the Cary chair can also allow for you and your child to share a bedtime story. The Ferrante ottoman as a stand-alone piece does not only work as a footstool but can also double up as a coffee table with a simple addition of a tray. Another attractive trait of the Elegant Muse range is how versatile it could be. The range could easily work in period homes to mid-century homes and even in modern, contemporary homes. Fabric and leather choices have been carefully hand-picked for this 8-piece collection. The colour palette on the fabrics range from neutral stones to soft blues and striking shades of greys. The leathers chosen give off an aged but timeless look that is also warm and inviting. Head in store now to see the range and experience for yourself the elegance and comfort of the Elegant Muse collection, furniture that truly soothes the soul.